Investor expectations are usually anchored by central bank expectations which is why central bank statements deserve much attention. 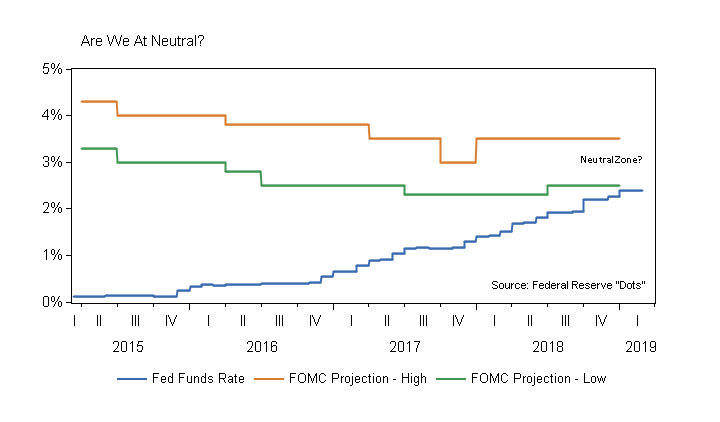 This Wednesday’s update on monetary policy from the Federal Open Market Committee (FOMC) is especially important given the FOMC’s recent pivot to “patience.” Market expectations are now set for an 85% probability of no further rate increases this year. The process of reducing short-term rate expectations, which began last fall, has now rippled through global financial markets, dampened volatility and helped buoy stocks so far in 2019. As the Federal Reserve gets ready to release an updated “dot plot” this Wednesday, the FOMC has an opportunity to clarify what some view as a disconnect between the committee’s official forecasts and Chairman Powell’s shift to “patience.” If some members of the committee continue to forecast rate increases ahead (chart, below), a conflicting signal could be sent to markets. Although the S&P 500 is near a 4-month high, underlying data is still mixed. Last month’s jobs report was weak and retail sales over the December-January period were dismal. Forecasters are marking down U.S. growth forecasts for the quarter, too. Macroeconomic Advisors, a forecasting firm, lowered its first-quarter growth estimate to 0.2% to 1% this week. The Federal Reserve Bank of Atlanta’s GDP Now forecasts first-quarter growth of just 0.5%. A combination of higher interest costs, trade worries, and fading fiscal stimulus could be partly to blame. Global growth forecasts are also near a low point. A Bloomberg estimate of current global growth is near 2.1% (well below the 3-4% range of recent years and our 3.7% long-run forecast), and the European Central Bank recently cut its forecast. While the market may celebrate more “patient” central banks, it is hard to celebrate growing signs of weakness in global growth. A temporary lull which allows central banks to maintain accommodation helps, but a continued drop in global growth is not welcome. A little bit of firming in January retail sales, which rose 0.2%, is a plus. Last Wednesday’s durable goods report, which showed a rise in orders last month, is another positive. Rising average hourly earnings, which are up 3.4% year-over-year, is encouraging. Recent moves by the United States, European, and Chinese central banks to either delay monetary tightening or ease monetary policy are encouraging. 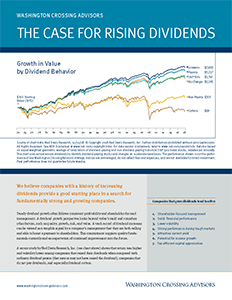 All of these things offer a reason to think that growth could stabilize and improve from here. Investors have already reset expectations for interest rates and this week provides an opportunity for the Fed to further clarify their message. Weakening global growth led central banks to ease away from monetary tightening, but we now need to see evidence that global growth is firming up. A further downshift in rate expectations from here would only come if growth stumbled again. This is not something we wish to see. 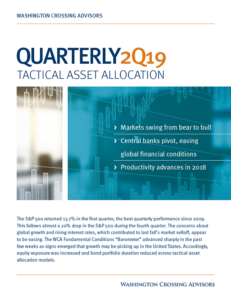 For now, CONQUEST portfolios remain slightly underweight equities in tactical portfolios following a small increase in equity exposure earlier this month due to some firming up of our outlook for fundamental conditions.